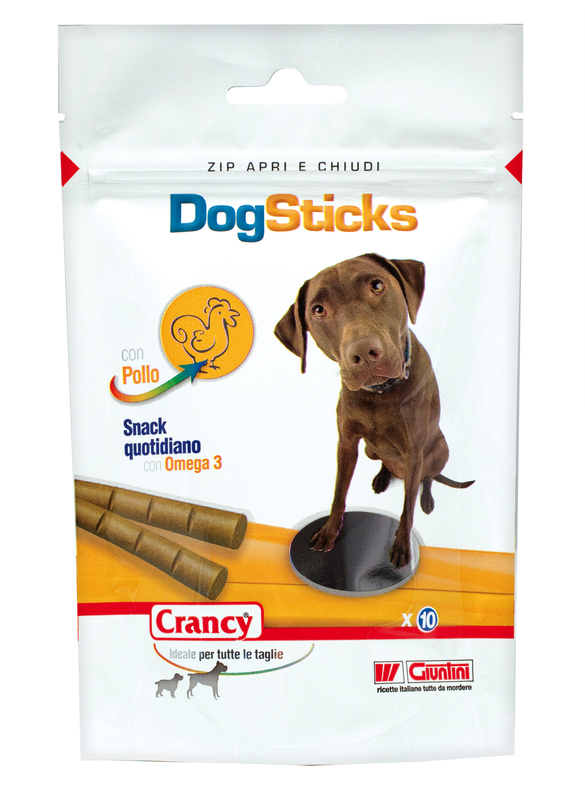 Crancy Dog Sticks is a complementary tasty snack for your dog. Use them as a reward for your dog and he will be happy. Always allow access o fresh clean water. DogSticks cannot replace a complete food for your dog. Meat and animal derivatives (Chicken min. 40%), derivatives of vegetable origins, vegetable protein extracts, fish and fish derivatives (salmon min. 1%) Minerals, sugars. Moist: 20,0%; Crude protein: 39,0%; Crude oils and fats: 8,0; Crude fibres: 1,0%; Crude ash: 10,0%. 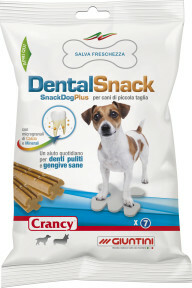 Crancy Dental Snack is a complementary food that you can use as a treat for your dog. 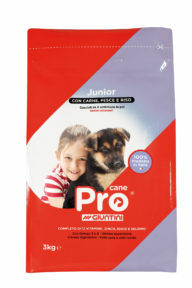 Pro Junior is a complete and precisely balanced food for puppies (from weaning at 6 weeks of age) and young dogs (up to one year of age).